Today’s young people are growing up into an ever-changing and unpredictable world. As educators we need to respond to this by equipping students with the skills required to face those challenges. One of the most important assets to be developed is critical thinking, as it enables people to assess new information, understand unexpected challenges, think ‘outside the box’, make decisions, solve problems and evaluate their own performance – in other words, to develop tools for lifelong learning. 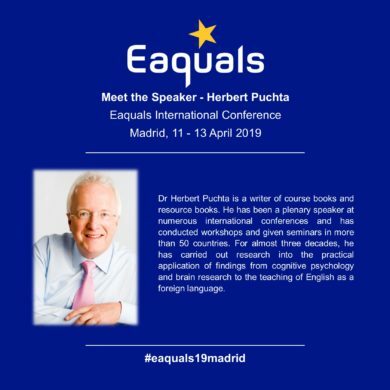 In this session, Herbert demonstrates how we can enrich teenagers’ language learning through developing 21st century skills sets, exploring healthy value systems and developing their self-esteem.